Pumps – Alpha Southwest, Inc.
Alpha Southwest (ASW) has over 50 years of experience of providing and installing pump systems to a wide range of industries. 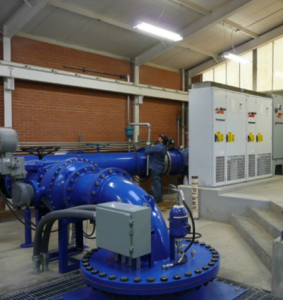 Our specialties consist of designing and installing centrifugal, circulating, and submersible, closed coupled, vertical turbine & split case pump systems. Any number of companies can sell you a pumping system. In reality, very few have the expertise, the experience the commitment it takes to provide you the pumping system that is best suited for your application. As a full service provider, ASW brings over 50 years of experience and “know-how” and is uniquely qualified to analyze, understand and fulfill your pumping requirements. ASW has available a comprehensive set of pumping products allowing us to tailor a pumping system to your particular needs. ASW backs our product offerings with extensive services including design, engineering and start-up and on-going support services.